Size: approx. 30 mm. Photo: 08/13/11, 11 am. 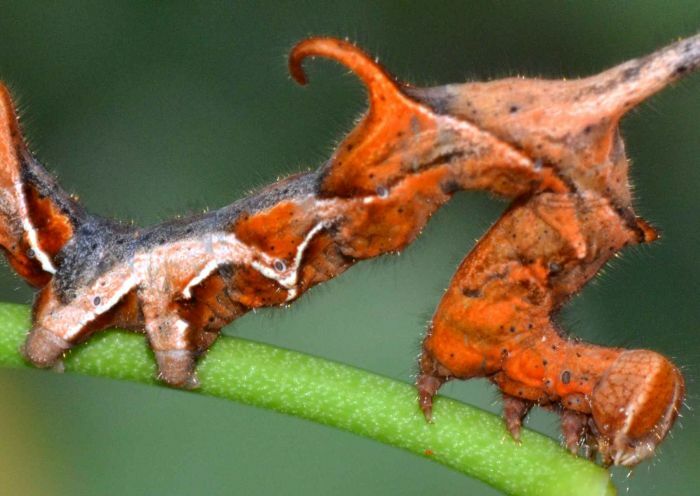 The Curve-Lined Owlet (Phyprosopus callitrichoides) is a rather unremarkable, brown moth, but what an amazing and bizarre caterpillar. The larvae feed on greenbrier species (Smilax--a flowering, often woody vine). 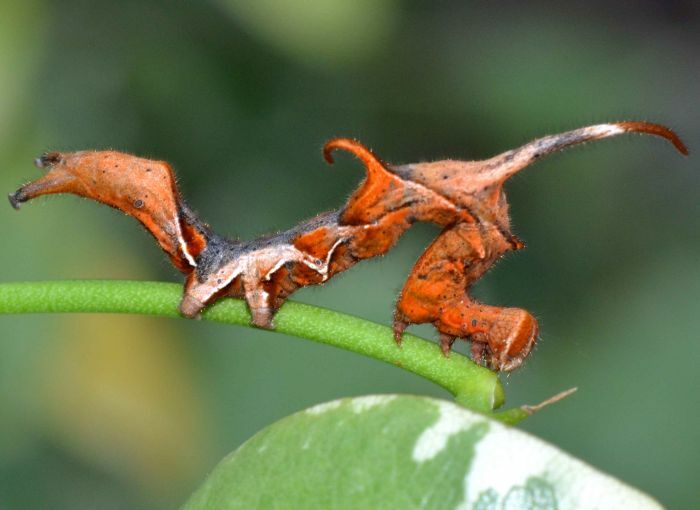 The undulating shape of the caterpillar seems to be characteristic and not a consequence of its movement. The small photo below shows a magnified view of the head.